Welcome back to the third installment of NC or NP. Last week, Fuz (sinistrous) and I took a (long) look at (lots) of neocash clothing items and suggested some neopoint alternatives for the customizer who can’t or won’t use neocash items (either because they have no access to the mall, or don’t use neocash on their sides, or simply don’t have the budget for neocash). Hopefully, we’re well on our way to thrashing the perception that to customize well you must have neocash or you’re just out of luck... we may be mallers, but some of our favourite wearables are actually neopoint wearables! This week, we’re moving on in the customization process. We’ve already taken a look at backgrounds and clothing items; let’s go ahead and take a good long look at hand-held items this week. The Glowing Handheld Candle is one of the most popular handheld items, particularly for spooky or evening looks. It provides a nice damping on the customization to give you the feel that your pet is really holding a candle. But we absolutely love the Friendly Glowing Lantern. While it isn’t animated, the artists did a fantastic job of making it seem to glow, and hey – you can’t beat the price tag. It’s free when you start collecting Moltaran Worms, and that makes it a fabulous alternative in our book. Is there a difference between these watches? Probably, but it’s so minor that we think they’re completely interchangeable. Sure, we tend to reach for the Father Times Watch – but the Wind Up Pocket Watch gives you almost the exact same luck... for a mere 20 neopoints. A+ neopoint alternative for people who can’t or won’t use neocash? We think so! One is yellow, one is blue, but for cheering on the fireworks, we think either will do! 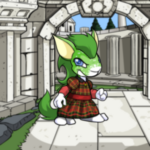 The Festive Sparkler is great if you want that bit of animation in your pet’s customization, but we think the Sparkler is a wonderful addition to a customization as well. Want to guess which one is in our respective closets? Give you a hint: It cost us each about 25k. When the MME6-S1: Magical Shapes Bubble Wand hit the mall last summer, people aww’ed – and with good reason; it’s a pretty cute handheld. But if your pet must blow bubbles and you can’t find the neocash version, for less than 8k, we think the Giant Bubble Blower is just as fun. It’s raining! Quick, grab a petpet! Err, we mean umbrella. Okay, we mean both! The Ona Rain Umbrella is an adorable neocash wearable that is fairly popular, and for a long time was the only actual umbrella (lots of parasols, few umbrellas... and if you don’t know the difference, a parasol will keep you cool but it won’t keep you dry!). But the recent addition of the Buzzer Umbrella made us pretty happy, and for less than 4k, it does a very cute job of keeping your pet dry out in the wet spring weather. 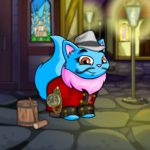 If your pet is off to the battledome, make sure they dress appropriately and don’t forget their shield! For neocash users, most will reach for the Regulation Meridellian Shield. But the Shiny Meridell Shield, for less than 5k, will protect your pet in an equally stylish and effective way. Squee! We love plushies. And I am not ashamed to say that my main closet boasts a full collection of hand-held plushies. One of our absolutely favourites is the Rag Doll Yooyu Plushie – it’s just so squishy and cute! But if you thought hand-held plushies were a neocash-only luxury for your pampered pets, think again! The Pteradactyl Plushie is less than 3k and still squishably adorable, and the Moffit Plushie is less than 1k for just as much cuteness. If it’s Halloween and your pet needs somewhere to stash their trick-or-treating loot, the Designer Trick-or-Treat Bag is an obvious choice for many neocash users. And after all, it’s super cute! But never fear, your pets on your side accounts won’t be left out if you don’t feel like trading for 20 of these bags; the Jack-O-Lantern Pail is an equally squee-worthy place for your pets to stash their Halloween goodies, for less than 50k. For that spooky-yet-feminine look, many customizers who use neocash will reach for the Coffin Clutch. Stylish, girly, and yet creepy at the same time, it’s an obvious choice. But often overlooked, the Purse of Despair has a similar style and feel for less than 20k. For your ghoulish girl, we love this neopoint alternative. If your lovely lady likes to dress to the nines, a stylish purse is a must-have without a doubt. The Purple Satin Purse is one of the prettiest choices you can make; sleek and shiny, it adds that special something to many outfits. But it’s an item that’s hard to find even for neocash users; if your pretty girl must have her purse and you can’t or won’t shell out for the Purple Satin Purse, we absolutely adore the Stylish Red Purse. Sure, it’s a different color... but it’s got that zing to it too, and for less than 30k, how can you go wrong? Well, that’s it for this week! Go check out these neopoint alternatives to those neocash wearables you love. Join us again next week for part four, when we’ll take a look at trinkets and foregrounds to provide some great neopoint alternatives.